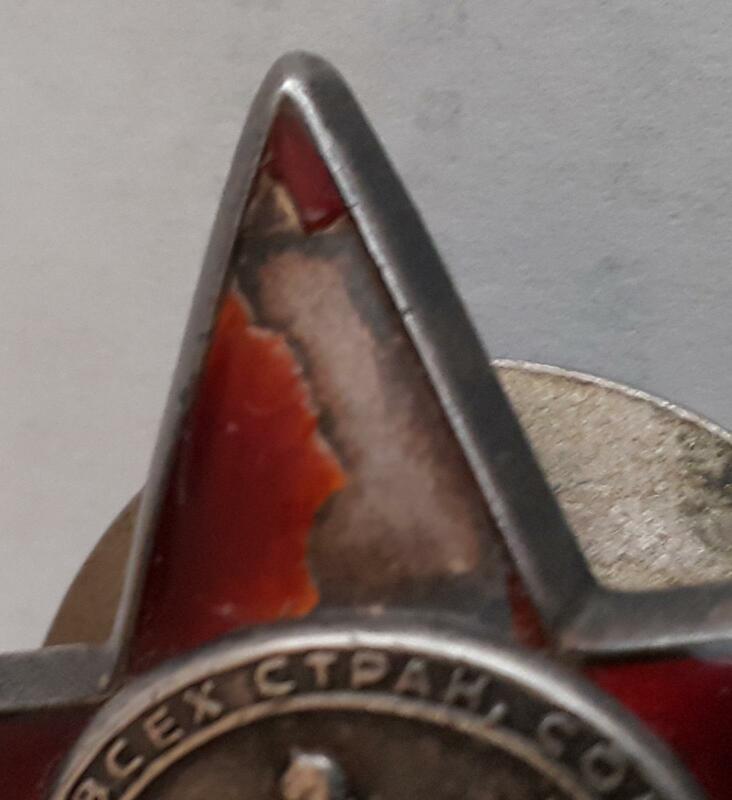 I just bought this Red Star and it seems different to any other one i have. It has a depression in the middle of the award that extends to the base of the stars 'fingers/arms'. I have looked on the reference site but the awards in this serial number range do not show marked depressions in the center. 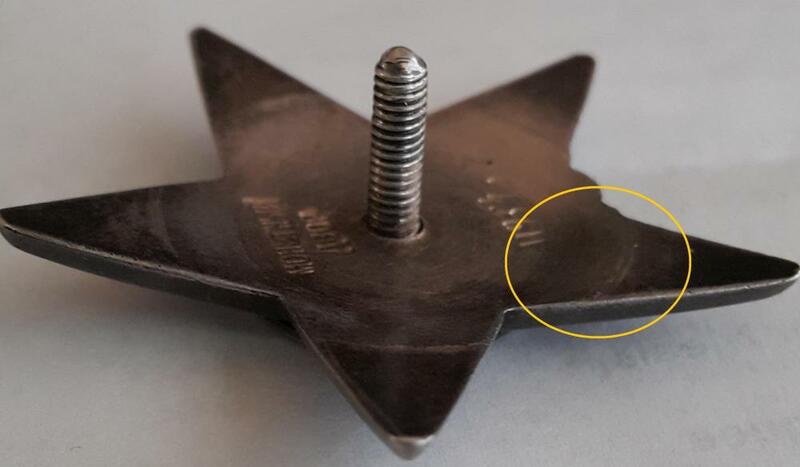 If i run my finger over some others i have in this range then they appear almost flat from center pin to edge of stars arm. This one has a depression then rises sharply at the base of the arm then flat to the outer edge. 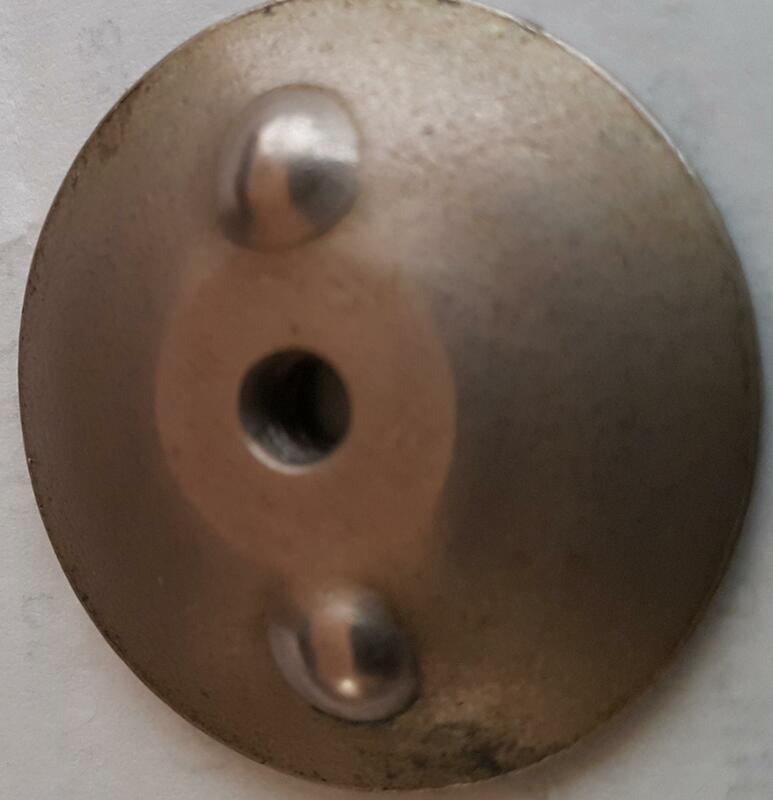 The screwed nut is also different. I tried a silver nut on the award but it was tight. You can see in the second pic that there are concentric rings at the base of the arm, this is where the 'ramp' is. 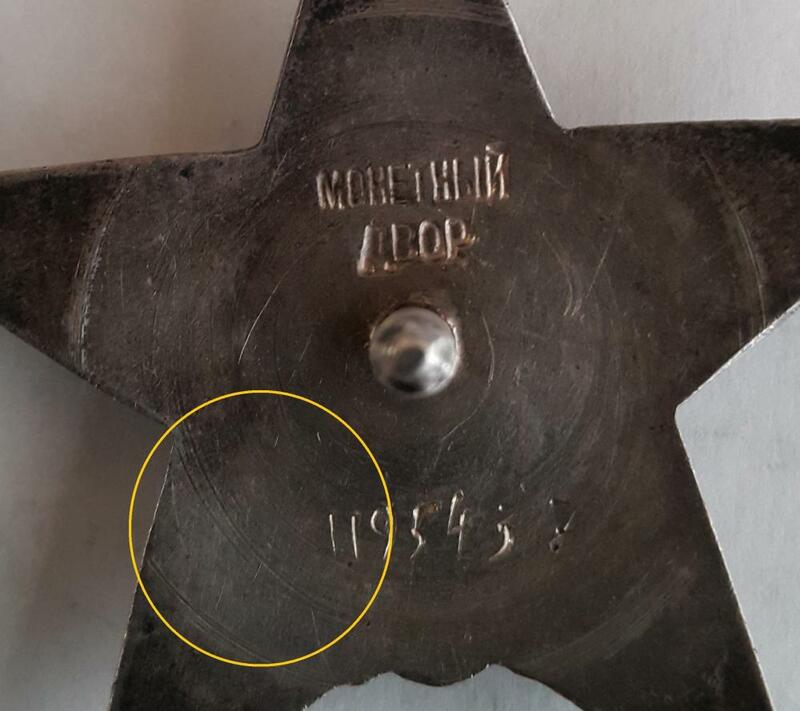 Are these marks evidence of a press tool. Do you think this is a copy. 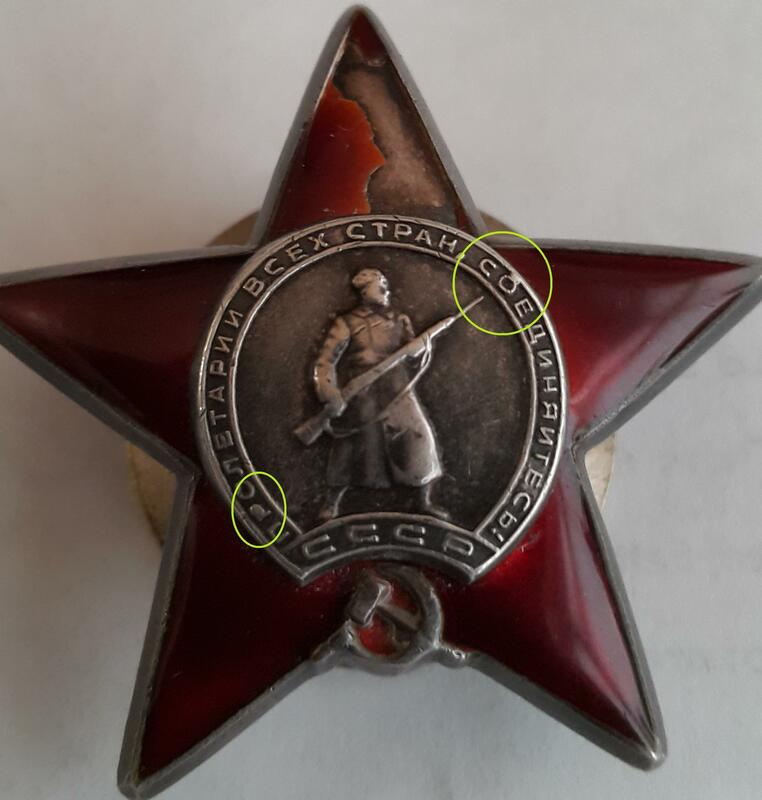 the pic shows extra bits on 2 of the characters. Would this be possible if this was a genuine award. 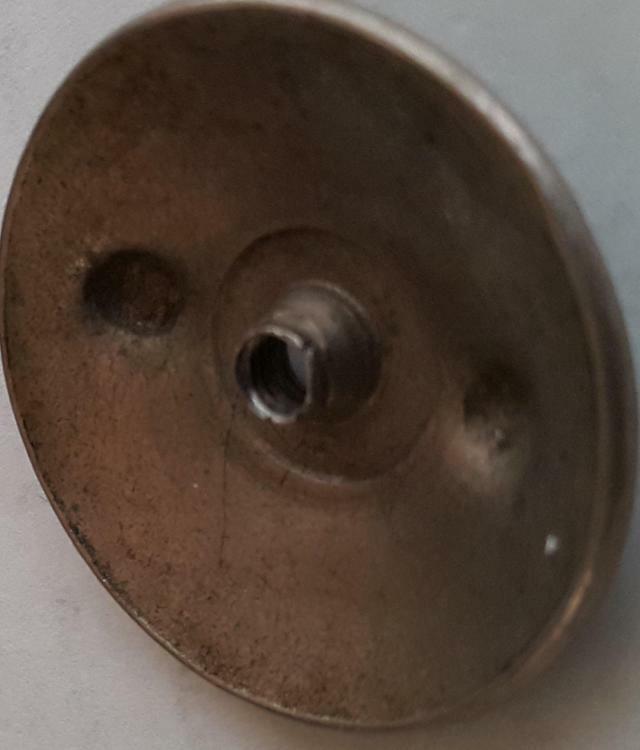 the pic shows the screwed nut. The enamel shows signs that are similar to flaking glass. I presume this is correct for genuine enamel. 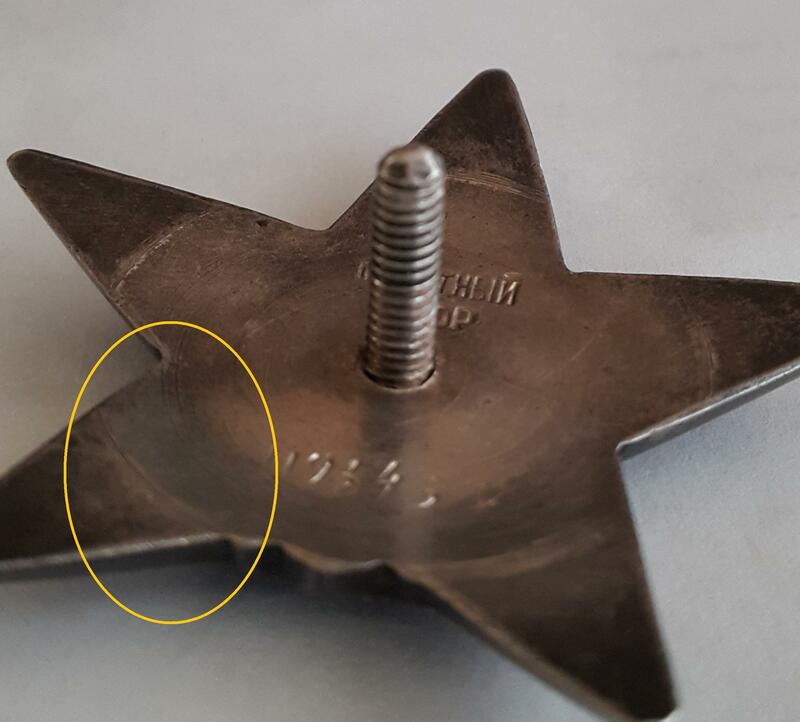 the screw post does not seem to be attached to the award in the same way as the others I have and you can see the difference in the center sections height in relation to the arms. I don't think it is a copy. If so, we are in a lot of trouble.